The Sweeney and Todd pie shop in Castle Street Reading, Berkshire is famous for it's award winning pies. Sweeney's Pie shop offers more than pies to take away. 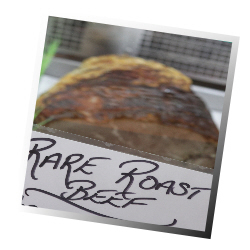 Superb pasties, sausage rolls, cold meats, scotch eggs, and more. We might be famous for our award winning pies at Sweeney's but try our other food offerings and you will be impressed. As well as our take away offerings in the shop you can eat in at our cosy restaurant and enjoy a great beer or glass of wine with your Sweeney's pie. You will love our award winning pies and other selection of restaurant meals. We take great pride in being one of the oldest restaurants in Reading and one of the best pie shops in the UK. 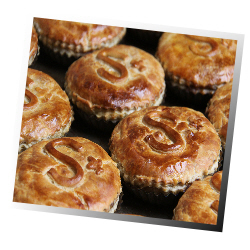 Our award winning pies come highly recommended. Try one and you will want to try others too. Sweeney's shop also serves a variety of cold meats you will love. What or Where to Eat for Lunch in Reading Berkshire? The Sweeney Todd's shop offers some great lunchtime snacks for people working in or visiting Reading town centre. 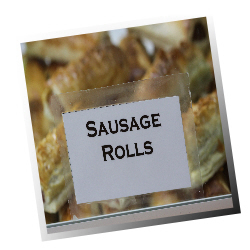 Tasty pies, fab pasties and delicious sausage rolls. Cold drinks are also for sale in the Sweeney's shop.